Le Grand Adam, Antoine Bourdelle. Collection La Petite Escalère. Photo (c) Carolina Penafiel. La Petite Escalère was created in the 1970s by French art dealer and collector Paul Haim. 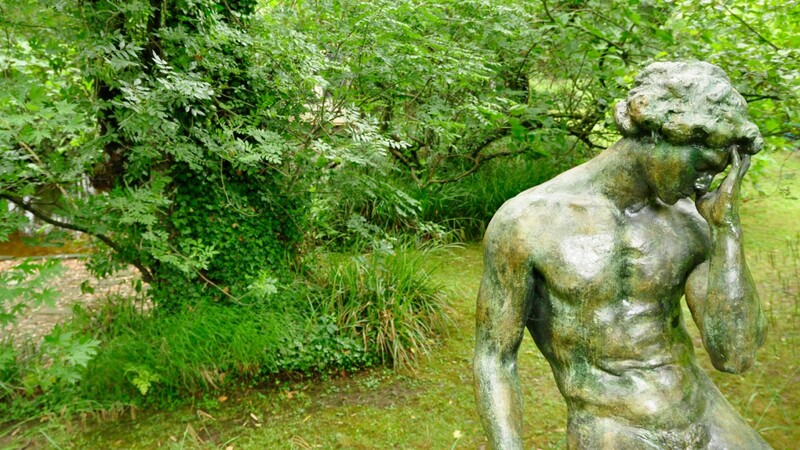 Located on the banks of the Adour River, at the border between the Landes and the Basque Country, this private sculpture garden grew out of the passion, the sensitivity and the talent of three exceptional individuals – Paul Haim, Jeannette Leroy and Gilbert Carty. Develop an innovative program focused on art, nature and health by hosting sensitive audiences, implementing pilot projects conducted by researchers, doctors and special educators, and organizing symposiums, seminars, and conferences. Discovering La Petite Escalère is a sensitive, poetic and intimate experience, an unusual approach to the numerous ties between men’s and nature’s creations, which we are committed to preserve. The garden is a private property and is closed to the general public most of the year, which allows us to better host more specific audiences – children, people with disabilities, patients, artists, writers, researchers, etc. The garden and the collection are nonetheless accessible to the general public twice a year for open houses and for occasional cultural events. You can also discover and explore La Petite Escalère anytime through our publications, website and blog.